Beres Hammond kicks us off this week singing Glory HalleluJah! The show continues in a very upful way with musical blessings coming in from Dean Fraser, Morgan Heritage, Cocoa Tea, Everton Blender, Anthony B, Yami Bolo and Earl Zero. Next we move into a classic roots set, featuring The Twinkle Brothers, Freddie McGregor, Rod Taylor and Burning Spear. Other highlights include new music from J Boog, I Wayne and Assassin plus an oldies set with Alton Ellis, Slim Smith, Delroy Wilson and Bob Marley and the Wailers. Enjoy and spread the love! 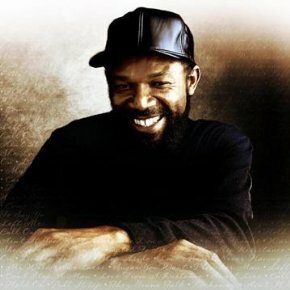 This entry was posted on October 16, 2011 at 10:30 pm and is filed under Downloads, Podcasts, Radio Shows with tags Beres Hammond Radio, gospel reggae radio, Jamaica, Rasta Radio, Rasta Revolution Radio, Rastafari Podcast, Rastafari Radio, Rastafari Revolution, Reggae Podcast, reggae radio vermont. You can follow any responses to this entry through the RSS 2.0 feed. You can leave a response, or trackback from your own site.